In concert with a move to larger corporate headquarters, GCG Financial, Inc., a long-standing client, sought to evolve its brand to better represent the scope of services it provides. This isn’t the first time our team supported the growth of this full service financial, employee benefit and risk management firm. Since we began working with it in 1996, the firm has grown exponentially. Once Greater Chicago Group, it became GCG Financial and now GCG. From a local entity selling insurance it is now a comprehensive financial services group with a national presence. 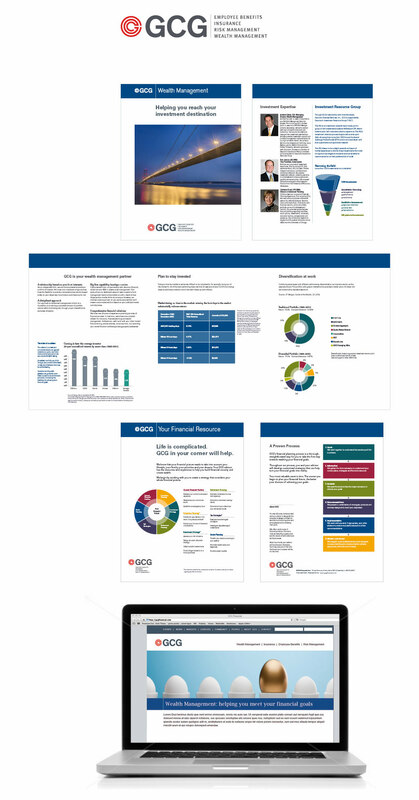 GCG and Kineo worked together to craft positioning, messaging, a new visual identity and supporting marketing materials.